The Hakkasan Group in Las Vegas announced they will be hosting a Benefit Concert on Tuesday, November 7th at the world renowned OMNIA Nightclub at Caesars Palace. The company is looking to bring the industry together after the recent tragedy which struck the city, and raise funds for families and victims who were affected during the event. As a city where music courses through its veins, it’s no surprise that it could be a key component of uniting Vegas through this difficult time. We are all still feeling shock and sadness following last week’s attack, and of course the victims, their families and all of those impacted are at the forefront of our thoughts,” said Hakkasan Group CEO Nick McCabe. “With this event we hope that our company, partners and friends can not only give back to the community, but also show that we’re united, and stand together in the face of this tragedy. Legendary headliners including Tiësto, Zedd, Kaskade, Steve Aoki, Lil Jon, and more will be sweeping stages in the city known for its premier entertainment, one of a kind talents, and vibrant nightlife. What better way to bring everyone back together than through the power and love of music, among these iconic DJ/producers, locals, and Vegas visitors. The inspirational event is sure to bring a triumphant return of the entertainment capital of the world. Diplo posted a video challenging fellow DJs, hotel owners, and club owners to match his donation of $100,000 to the victims and families of the recent tragedy. Headlining DJ Tiësto, who is not only a Hakkasan Group resident but a core heart to Vegas’ electronic dance community, has already committed to contributing the first generous donation of $200,000. Quick to follow were more huge names in the industry including The Chainsmokers and Steve Aoki. These Las Vegas performers hope to inspire others who have been part of the city’s community to help out in any way they can. 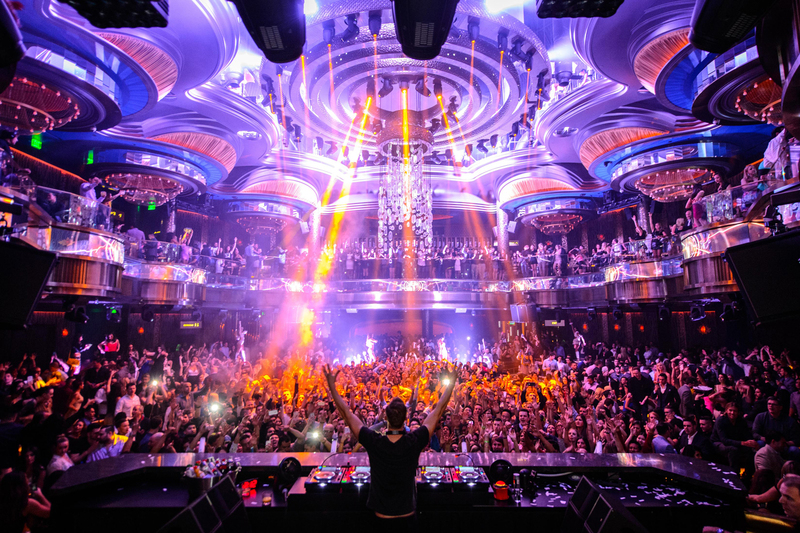 Las Vegas has become like a home to me,” said Tiësto. “It’s an incredible city filled with great people and after last week’s tragedy, I immediately wanted to help in supporting the victims, their families, and the amazing first responders. In addition to direct donations that I have pledged, it was also extremely important to me that I perform to raise as much as possible. I’m thrilled to team up with Hakkasan Group and the other artists performing for this special event at OMNIA in Las Vegas. General admission tickets for the event start at $30 and VIP tables also are available for purchase. 100% of proceeds will be donated to the Las Vegas Victims Fund via the Direct Impact Fund, a 501(c)(3) which will take no fees or operating costs for their help in distributing relief to the victims. This event is 21+ and doors will open at 9:30 p.m. For more information regarding the event, or to purchase tickets please visit OmniaNightclub.com.